That my niece cut (and donated) 12 inches of her hair!! Beautiful, beautiful, beautiful! I don't know which one I love more! But your niece is super adorable! How sweet of your niece! Of all the beautiful images in this post, that one is the best! Love these photos! The peonies are so beautiful and I love that your niece donated her hair. I've done mine twice now, and it is such a rewarding feeling to know how much it can help someone! pink peonies make me smile too! the picture of your niece is so cute, her shirt ;)!!!!! I am a big lover of trays as well!! Beautiful! Specially love that mint coloured watch! What a sweet thing your neice did- how precious! All these things make me smile too- especially the pretty succulents! 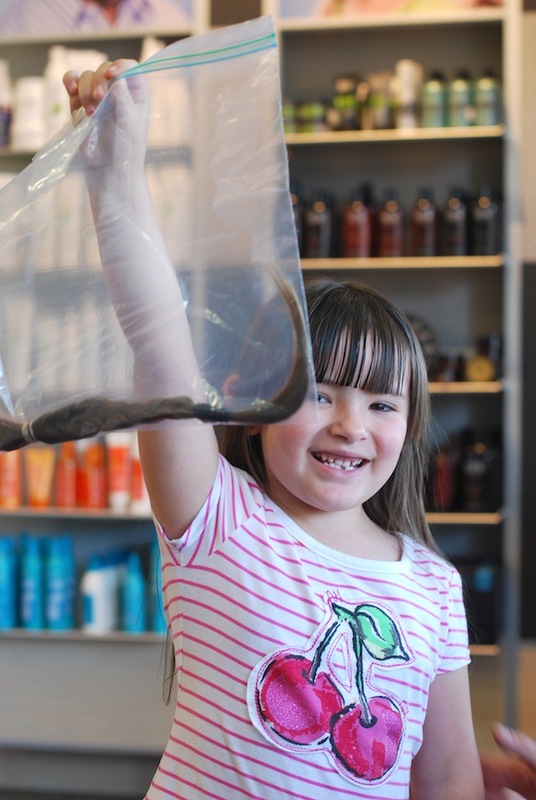 that is so sweet that your niece donated her hair!!! love that painting AND of course that watch!!! your niece is adorable! lovely photos, as always! So sweet/amazing of your niece!!! And I NEED the mint watch- love, love. These things make me smile as well! Gorgeous & inspiring! I LOVE peonies! And that watch is amazing! I love your blog, that watch is perfect for Texas summer. Thanks in advance for visiting mine, I always love feedback and direction. Awesome, yaay for your sweet niece she still have long long locks! That is too sweet of your niece I love the picture of her, such an amazing thing to do for someone so young!! Your niece is adorable, good for her! How FABULOUS of your niece! She's phenomenal. Such a lovely post! Great photography. love the tulips and succulents! Such sweet pictures, especially the last! What a kind hearted girl! Isn't that watch the best? I can't take it off! Your niece is adorable, and her hair is still so long! Love the colour of the watch. I've had my eye on that watch! Just got an anthro gift card and I know exactly what I'm using it on! Aww... Looking at the things that make you smile makes me smile :) I love it when people share things that they love! Your niece is gorgeous and so lovely! These are adorable!Love the things you posted!The glasses and watch is my favourite!